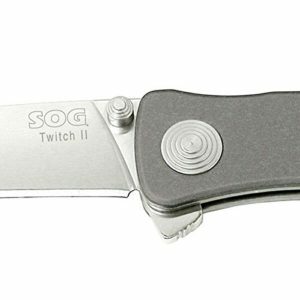 The SOG twitch looks like one top quality knife. It’s stylish all metal look gives it that elegant feel that will have all your colleagues going green with envy. As SOG describe it “it reminds us of the workings in a fine chronograph watch; everything right and precisely in its place.” This knife also features patent pending pass-through lockbar which is a new way to keep the blade in place upon opening. As this knife features S.A.T (SOG Assisted technology) it means that this knife is, you guessed it, an assisted opening knife. 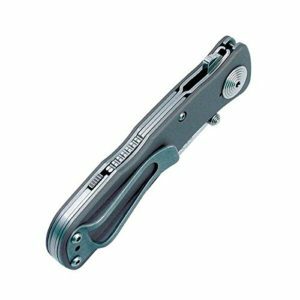 This allows it to be opened easily with one hand and makes it a really useful everyday carry. 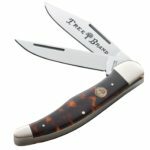 Price wise, the knife is fairly priced coming in at around $40, but I am sure if you shop around you will be able to get it far cheaper. I recommend you grab this knife if you are looking for a top quality every day carry that is not going to break the bank, yet still provide you with a high level of quality. 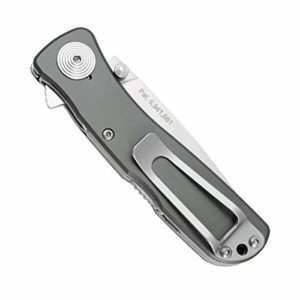 The SOG twitch features some top quality AUS-8 steel which is going to get and retain a really nice edge. This means that this knife is able to make quick work of any cutting/slicing task that you put in front of it. 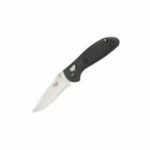 Furthermore, as the blade has a hardness of 57-58 RC you will find that it is super tough and robust and able to perform really well even when placed under extreme pressure or weight. 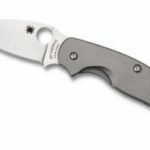 The blade is fairly small coming in at only 2″ long meaning that it isn’t going to be able to handle the biggest of tasks but will still be able to handle most things that you throw at it, however this size makes it perfect for the more delicate and smaller tasks which require a bit more precision. The handle of the SOG Twitch is pretty good and allows you to get a solid grip. The shape allows it to bend and fit nicely to the shape of your palm and allows you to make precise and controlled movements. You can easily open the blade my placing small pressure on the kick and let the assisted opening technology do the rest and completely open the blade for you. However, as the handle is quite small I do find it sort of difficult to get a good grip, but that is just because I have bigger hands and I doubt many others will experience the same problem as me. 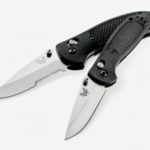 Overall, the SOG Twitch is a damn good knife and is definitely one you should consider when going for an everyday knife. 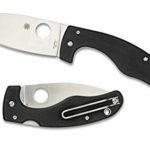 You are definitely going to get your monies worth with this knife and will be wondering how you ever lived with out it. 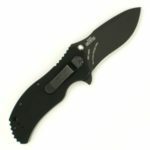 SOG do make a good knife so you can be sure that this knife is going to last you a long time.